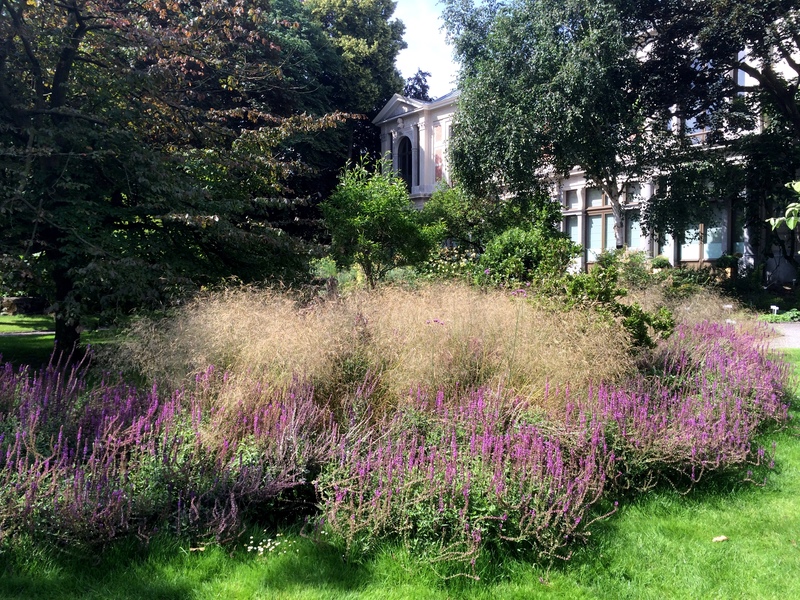 Antwerp people have sometimes the tendency to brag about their city, but they don’t often mention their botanical garden. This is probably because it’s a rather small one hectare park. 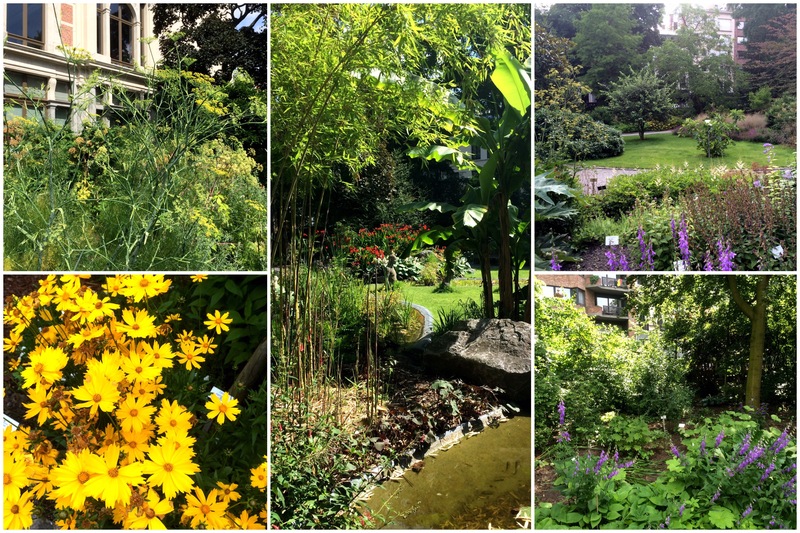 But this doesn’t mean it isn’t worth a visit, as this small botanical garden contains over 2000 plant species, a small greenhouse and is a well maintained green haven in the heart of the city. 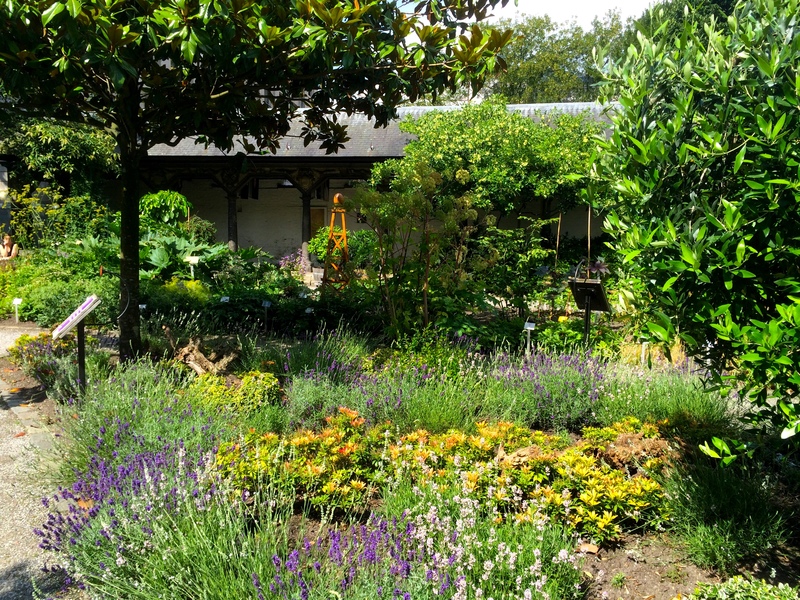 The botanical garden, or as the local people call it, Den Botaniek, was conceived in 1825 on the former grounds of the vegetable and fruitgarden of the adjacent St. Elisabeth Hospital. 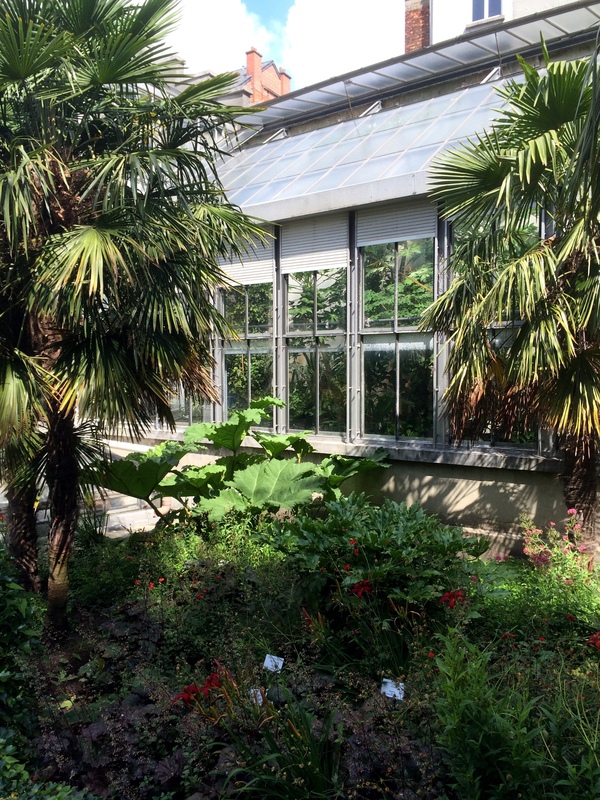 It served as a research garden for the medical school in the hospital and was later enlarged with a greenhouse, orangery and some extra buildings for classrooms and exhibitions. By the end of the 19th century the garden evolved from a purely educational garden to one that opened up to the public and the wall towards the street was replaced by a lovely balustrade that gave, and still gives the people a view on the garden. Since 1926 the garden is maintained by the city. When you enter the garden from the side of the Leopold Square you’ll see the old romantic gardeners house, which is now a michelin-star restaurant. Along the paths the plants are all well labeled and they guide you towards the central pond. Before you arrive there you’ll notice a nice cacti flower bed…that is when you come here in summer, as they plant them every year again for the summer season. In winter they get their spot in one of the greenhouses again. Around the central pond bamboo and the giant leaves of the Gunnera set the atmosphere. The legend goes that this pond used to be a leech nursery for medical use in the hospital. In the small lawn near the pond you can’t miss the poetic artwork Greening II from artist Monique Dockers. Some of the trees worth mentioning are the magnolia collection, the rare Chinese bitter-orange and the beautiful Gingko tree. More recent is a corner where you can find different fern species and a hidden “forest” path. When I visited the garden last time the Asclepias syriaca was blooming and spreading its lovely scent. Another one of my favorites was the Cephalaria gigantea, with its long stems and light yellow flowers. 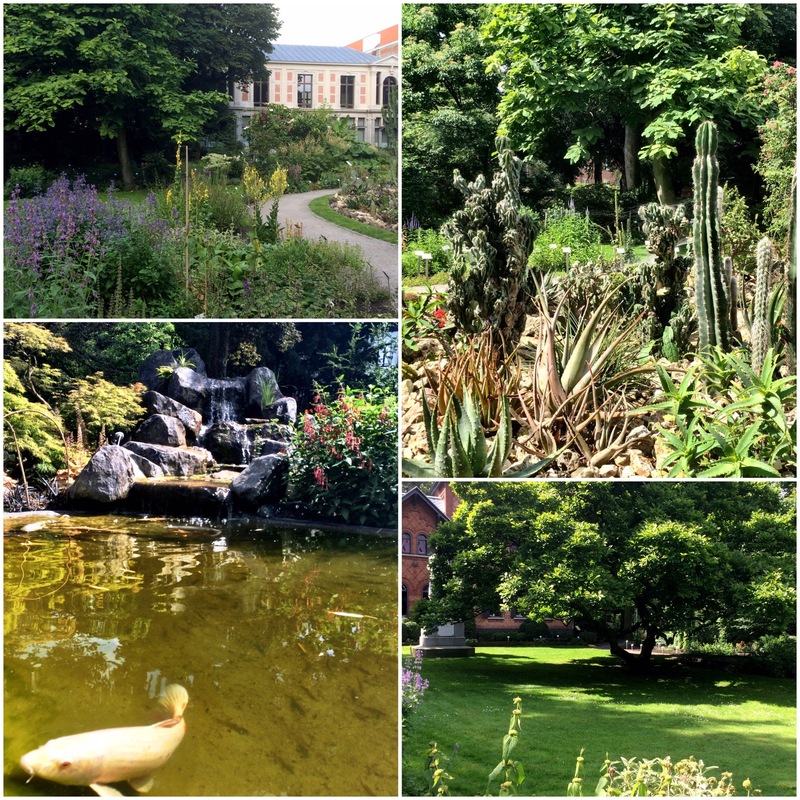 Den Botaniek is really a nice place to spend some time when you visit Antwerp and is conveniently situated near the main shopping streets. Looks a lovely place. I don’t know it at all. I wonder if the Michelen restaurant staff pop in there for some salad supplements?